What are you doing for breast cancer awareness? It is so very easy to fall into the "me" rut of MS. We live with it every second of every day. It is our personal MonSter. As Warriors, we fight to bring awareness to this often unseen disease. We constantly remind the public that there is actually a person behind that brave smile. We fight the good fight. We religiously take our meds, vitamins, and supplements. We cry through painful physical therapy and cringe when the bill collectors pretend to be our pen-pals. I constantly urge Warriors to remember that you are not alone. Come March, I will devote countless hours to the cause of bringing serious attention to the MonSter. We represent the people behind the orange ribbon. But this isn't March. October is the month set aside to bring greater awareness to a more deadly condition that plagues far too many women. Please take time to read this story behind the pink ribbon. The Pink Ribbon Story A pink ribbon symbolizes breast cancer awareness. The merging of ribbon and symbolism in the United States came about in two huge leaps. The first occurred in 1979 when a wife of a hostage who had been taken in Iran was inspired to tie yellow ribbons around the trees in her front yard, signaling her desire to see her husband come home again. Step two occurred 11 years later, when AIDS activists looked at the yellow ribbons that had been resurrected for soldiers fighting the Gulf War and turned the ribbon bright red, looped it, spruced it up and sent it onto the national stage during the Tony awards to represent those affected by AIDS. The stage was set for the evolution of the breast cancer awareness ribbon. Susan G. Komen for the Cure® has used the color pink since its inception in 1982. The first Komen Race for the Cure® logo design was an abstract female runner outlined with a pink ribbon and was used during the mid 1980s through early 1990s. In 1990, the first breast cancer survivor program was launched at the Komen National Race for the Cure® in Washington, D.C. The survivors wore buttons that were printed in black and white. Later that year, the survivor program developed, and pink was used as the designated color for Komen to promote awareness and its programs. Pink visors were launched for survivor recognition. In 1991, pink ribbons were distributed to all breast cancer survivors and participants of the Komen New York City Race for the Cure®. Then in 1992, Alexandra Penney, editor-in-chief of Self magazine, wanted to put the magazine’s second annual Breast Cancer Awareness Month issue over the top. She did this by creating a ribbon and enlisting the cosmetics giants to distribute them in New York City stores. And thus, the birth of the pink ribbon! In 2007, twenty-five years after its inception, the Susan G. Komen Breast Cancer Foundation changed its name to Susan G. Komen for the Cure. The name change was accompanied by a new brand image. The new logo included a pink “running ribbon” designed specifically for Komen for the Cure. This ribbon signifies the promise Komen Founder Nancy G. Brinker made to her dying sister, Susan G. Komen, to do what she could to end breast cancer. Today, any generic pink ribbon can be used to represent breast cancer awareness while the Komen “running ribbon” is reserved solely for use by Susan G. Komen for the Cure®. 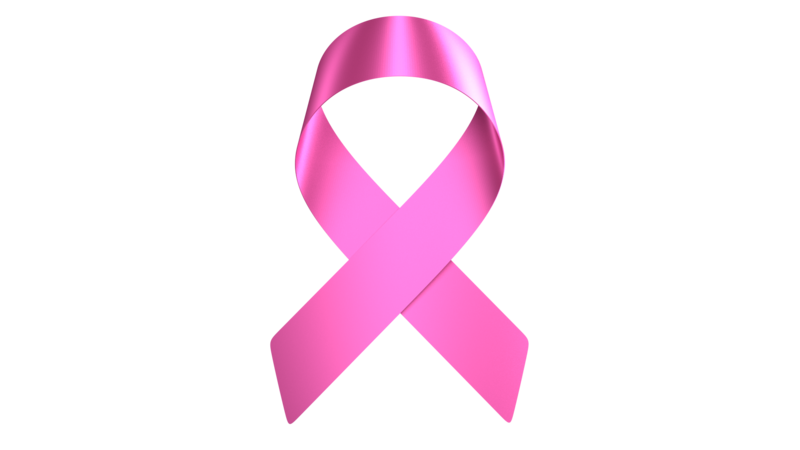 As with the orange ribbon of MS, I am painfully aware of the seriousness of Breast Cancer. I wear my pink. I remember women who have fallen to this horrible disease. I give what I can give. The older I get, though, the less my finances stretch to include monetary support of all the causes that impair the health of so many individuals. Therefore, I look for alternative ways to show and give my support. Several years ago my mother an I donated our hair for the making of wigs for cancer patients. It was not only fun to grow our locks as long as possible, but it cut down on our personal grooming budgets. But, there comes a point when that long hair becomes a handicap and must go. We both got more attractive "do' and began our hair harvest once again. 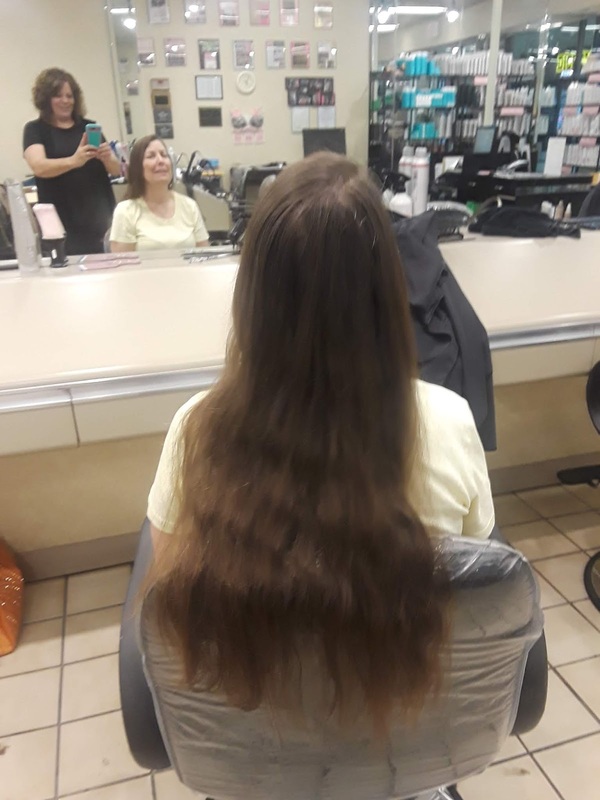 Last week I donated nearly a foot of my hair for the making of a wig. I look younger. I feel lighter. And I know in my heart that someone will benefit from this gift. No, I am not looking for a pat on the back. I do NOT want a thank you or award. I did what I can do for the cause. 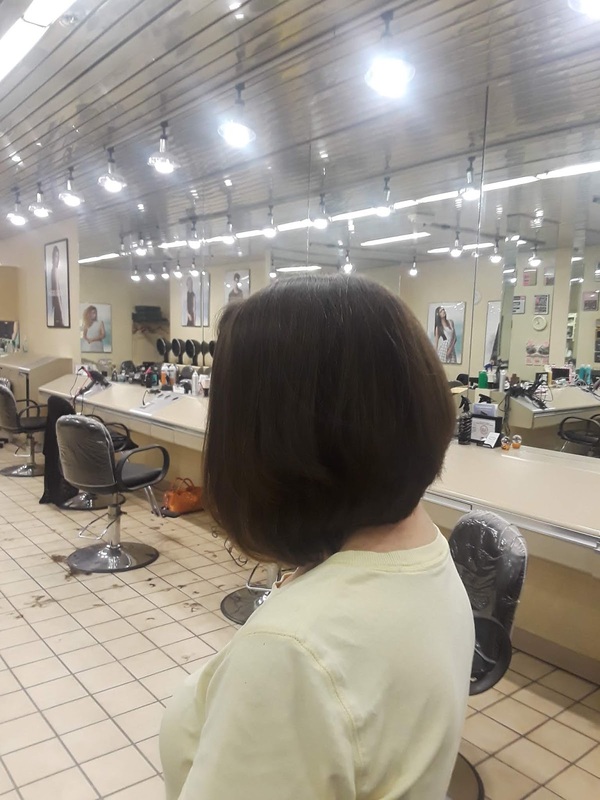 It didn't cost me anything other than a hair cut. But I did something for my fellow female comrades. Do something this month for the women in your life who fight cancer. 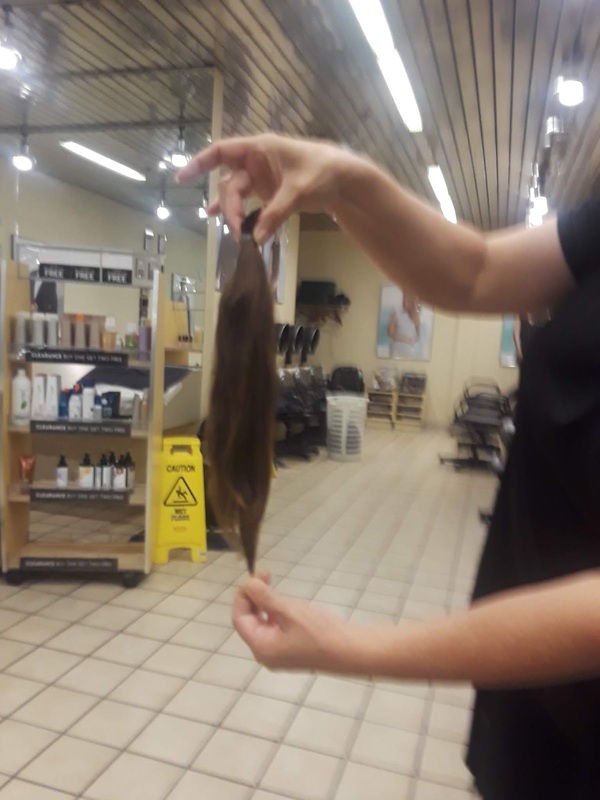 You do not have to donate your hair or write a big check. This support does not require financial sacrifice. Send them a greeting card, Walk in a Relay Walk, Volunteer at a local medical facility, knit/crochet cancer hats, offer to clean their house or babysit, prepare a meal, got to the movies with them. It doesn't take much to share your concern.